Our trainers are certified and committed to helping you achieve your health and fitness goals in the best way possible. Eric began his personal training career at In-Shape City health clubs in 2004 whilst studying Physical Education with a focus on Sports Medicine. During his studies, he had the opportunity to work with many professional athletes, as well as clients at all levels. He was later promoted to Fitness Director at In-Shape in Merced where he managed a group of 10 trainers. After moving to San Jose in 2009, Eric partnered up and opened a full service sports club, where he grew and helped develop the company from 0 to 1800 members in three years. He was involved in all aspects of the business, including selling memberships, teaching group exercise classes, and building and developing programs. In 2013, Eric partnered up and began a personal training company, where he created specialized programs and built up a team of personal trainers. 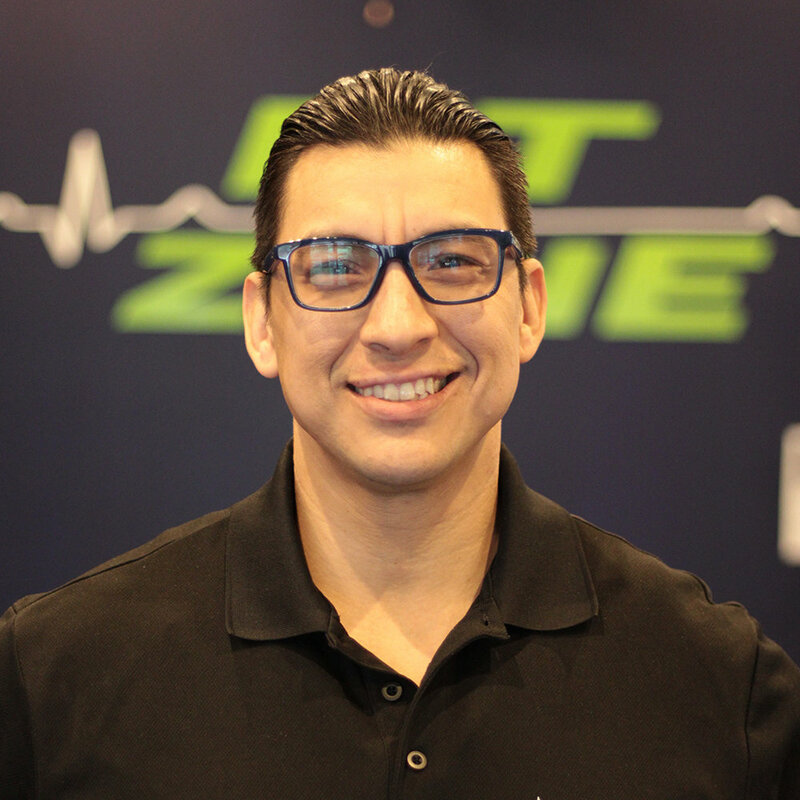 In 2016, he was fortunate enough to start Fit Zone Milpitas, a fun and effective environment where many people can reach their fitness goals while enjoying their health and wellness journey. Eric has a passion for fitness and helping people become their best. He can't see himself doing anything else. Paul's primary objective is to help people achieve their health and fitness goals. He has helped clients of all shapes, sizes, and fitness levels live a healthier life. It was after the birth of his son that he really developed a passion for fitness and a realization that fitness and a healthy lifestyle is an essential and rewarding part of life. As a personal trainer and group fitness instructor, Paul aims to keep everyone motivated with high energy and fun classes, and provides fitness education and nutrition advice along the way. He holds four certifications, including being a Certified Personal Trainer and Performance Exercise Specialist and the National Academy of Sports Medicine, TRX, and Active Isolated Stretching. Given the opportunity, Paul believes he can help anyone achieve their fitness goals and turn their lives around.